Step 1 - Select The Date Select the date you would like to go on. Simply select the month then the day. Step 2 - Select Participants Book today, make sure you dont miss out. It is quick, simple and safe to book with us. We pick up from all holiday resorts at your accommodation or the nearest pickup point no more than a few mins walk. Please select date and how many people and you will be asked to enter your accommodation details at checkout. For those with a diving qualification can join us on guided dives, these are at 11.00 a.m. and 3.00 p.m. and we meet at the dive centre 30 minutes before the dive. 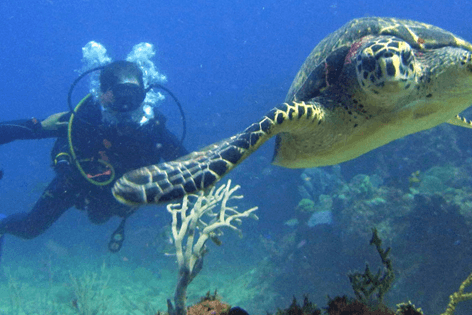 One can go to the various dive sites like the Harbour Wall, Blue Hole, Cathedral, Red Coral, Blue Hole Reef, Black Beach and Little Wreck, depending on your certification level. 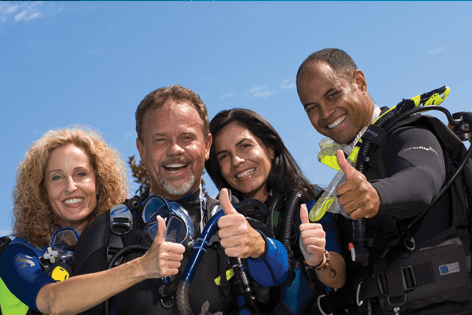 We have a flexible dive schedule so that divers can choose what you would like to see and the dive guide takes you there. We decide on the day where the dive is going to go. 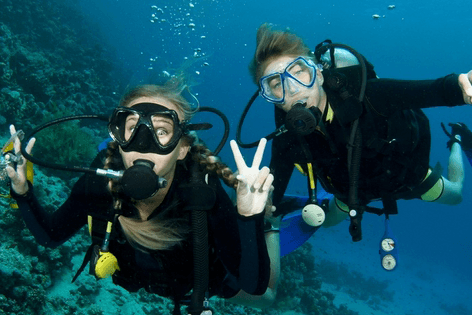 The price of 1 dive including equipment is 39€, alternatively if you bring your own equipment the price is 32€. There is more to Lanzarote, things to do like lazing at the beaches and soaking the sun, explore Lanzarote with the best loved excursions in Lanzarote, helping choose the right tours for you. For travelers who search for the true Lanzarote, our classic land, day and night excursions will overwhelm you with the true essence of the volcanic landscape, food, culture and history. For those who love the sea, boat and ferry trips to Fuerteventura and La Graciosa will let you discover their beautiful and hidden beaches. 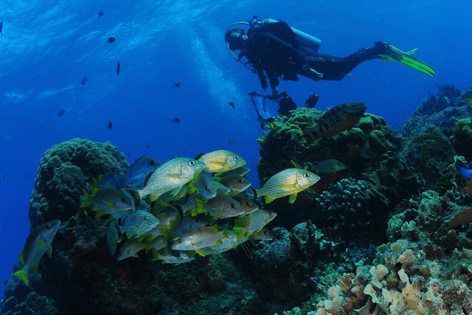 For the active and adventurous ones, Lanzarote island water sports like scuba diving, snorkeling and surfing will leave you wanting for more. Experience the best of Lanzarote with us!!!! Booking with TravelON Group gives you the flexibility to change the date of your excursions at no extra cost, just contact us by email at sales@mkt.ventures on the contact form and we are happy to help! Booking excursions with us is as easy as 1 2 3, simply select the excursion you want, then add the number of people and date, your ready to experience your holiday at its best. We give CASH BACK off the TOTAL COST on all Excursions in Lanzarote. It does not mater how many you buy, you still get cash back on all. You will not find this deal on any other site selling Excursions in Lanzarote. Once you have selected your excursions simple go the checkout and we will give cash back straight away. This offer is for a limited time only, so why wait and get cash back now! Choose to pay in full today or pay only a deposit now to guarantee your space on this popular excursion and pay the balance on the day of the excursion when you are picked up. We will send you a ticket with the pick up time, pick up point. We pick up from or near ALL hotels and accomodation in ALL resorts. Pay our deposit to secure your place and the rest on the day when you get collected. We have pick ups in all main resorts on the island so we guarentee that there will be a pick either at your hotel or very close to your accomodation even if you are in a private villa or apartment . If you cancel at least 10 day(s) in advance of the scheduled departure, there is no cancellation fee and we issue a full refund. There will be a 5 Euro per person booking fee. Should you miss your excursion or do not check the correct pickup point and time and other clients are collected at that point, then there would not be a refund we recommend all clients check the pickup point and time before the day of the excursion. It is the client's responsibility to check the ticket and check their pick up point and time. Refunds will be offered should excursions be cancelled due to weather. This excursion includes pick up IF you require one. ITEM People booked this item this week.